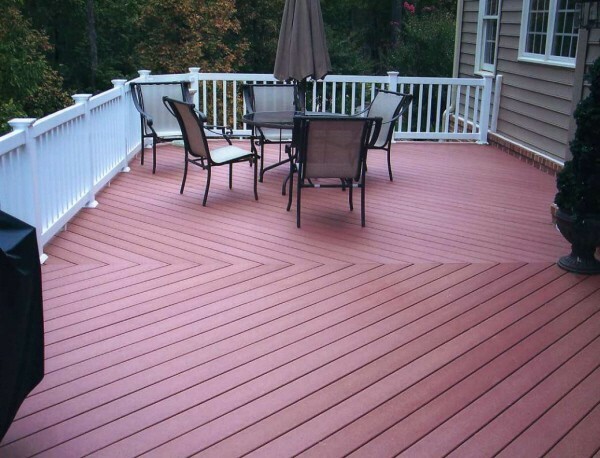 After you build a deck in Arlington, VA, it will be the center of your warm-weather life, and home to many happy family memories. 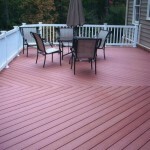 So, before you build a deck in Arlington, VA read up on deck safety, learn about smart deck design, and check out the building credentials of your deck contractor. And what about all of those special people and years of fun parties, prom nights, first times and special times. How would you like those to look? Would a lattice backdrop draped with honeysuckle or clematis make sense? Or would you prefer more of a natural enclosure, topped off with an arbor supporting grape vines in large, decorative pots? As you imagine what features you want to include and those you want to avoid, remember important safety accessories such as post caps, tread lighting, door and security lighting and landscape lighting for nighttime drama and more comfortable pedestrian access. 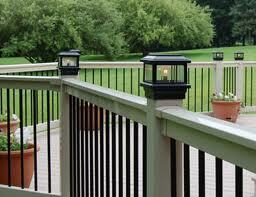 Railings play an important role in securing the perimeter of and deck. 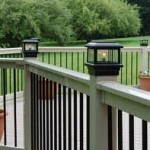 When you build your deck in Arlington, VA know that railings can also add a completely different dimension to your deck decor. Combine the unexpected, such as metal and wood, or wood and glass, when you build a deck in Arlington, VA for a modern twist on today’s outdoor deck railings. No matter how your deck is situated on your property, there are many finishes, accents and features that can help it blend in with the natural setting, or make a bold, independent architectural statement. Trends of mixing and coordinating different finishes, patterns, and materials give homeowners more resources than ever before when they pursue their backyard dreams. When you build a deck in Arlington, VA, explore ways to design your space to work well for you and look good too. 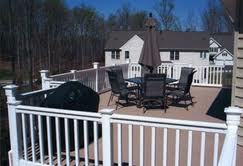 The secret to creating real privacy for decks in Northern Virginia is knowing the possibilities. When you walk out onto a well-designed and landscaped deck, you sense it is truly a “living extension” of that home. 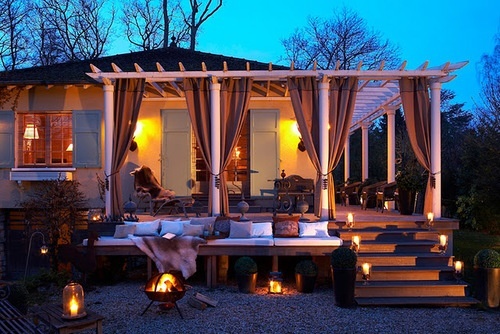 It is an exceptionally unique, comfortable outdoor living space. 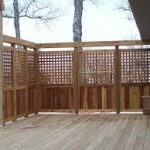 When planning for a new deck or deck renovation, think about how to create real privacy. 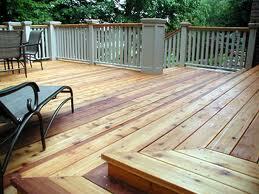 Then, your deck space can offer you and your guests a secluded haven from the harried world. Deck designers use specific materials and design principles to create these elevated sanctuaries so you can enjoy the beauty of nature right at home with minimal intrusion from neighbors, traffic, and other unwanted disruptions. Create an artistic privacy wall of glass construction blocks. Joined by clear exterior caulk, the right glass blocks create a visual and sound barrier between you and your neighbors while allowing natural sunlight to shine through. 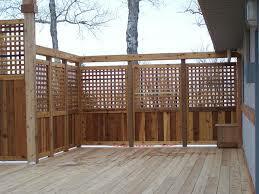 Install an outdoor accent structure, such as a pergola or arbor, on your deck. These deck accents add dimension, color, texture, and opportunities to enhance privacy with climbing vines, hanging baskets, or even a cooking garden on your deck for easy kitchen access. Build planters around a portion of your wood deck perimeter to hold seasonal blooms, shrubs, or an herb garden for cooking. 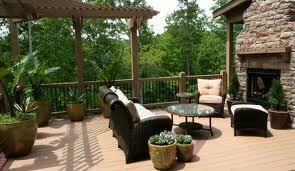 Plant evergreen trees around your deck, which can block any view and help filter noise. Install a retractable awning or place colorful outdoor umbrellas to provide strategic shade and block second-story neighbor views. An easy and economical privacy solution, precisely placed tight-weave lattice panels offer heightened privacy. Painted or stained to match your architecture and landscape, lattice panels can be used in many areas of your landscape as an attractive privacy wall, a decorative backdrop for garden beds, and to shield unsightly storage areas. These simple ideas allow you to enjoy outdoor decks in Northern Virginia without feeling boxed in or under surveillance. 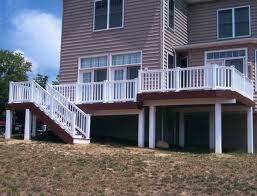 For more deck design and privacy enhancement ideas, contact the local deck contractors at Hal Co Fence. Established in 1981, the experienced Hal Co professionals have installed thousands of well-constructed fences, decks, porticoes, arbors, and screened porches throughout the Northern Virginia region. 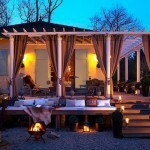 We can help you build the outdoor living solutions that work best for you.